Sant’Angelo Bridge, Italian Ponte Sant’Angelo, is ancient bridge built by the Emperor Hadrian to link the left bank of the Tiber with the Castel Sant’Angelo. There are seven stone arches and five main spans supported on piers. 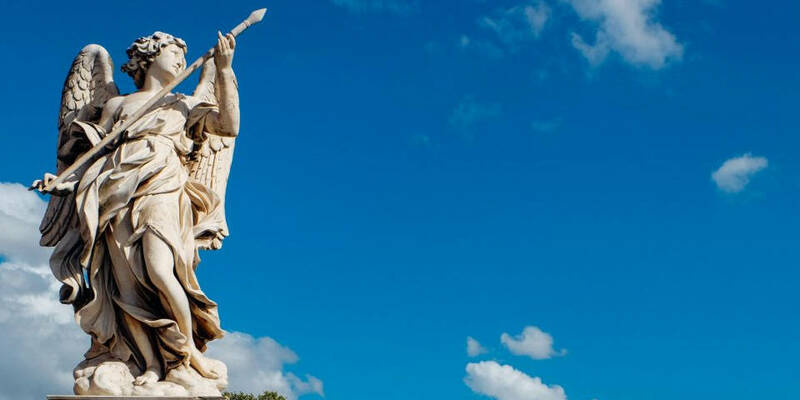 Moreover, you can make a journey along the Via Crucis and admire ten beautiful angel sculptures designed by Gian Lorenzo Bernini, which decorate the construction and statues of the saints Peter and Paul that watch over the entrance way of it. Sant’Angelo Bridge is one of the finest surviving in Rome nowadays. It was built by the emperor Hadrian (reigned 117-138 A.D.) to connect the Campus Martius with Castel Sant’Aneglo (or The Mausoleum of Hadrian). At the time the bridge was known as the “Aelian Bridge” or “Bridge of Hadrian.” The construction was completed about 135 A.D. The current name of Sant’Angelo is used since the 7th century because of the legend in which Archangel Michael was seen atop the castle Sant’Angelo while sword drawn to finish the plague of 590 A.D.
At the end of the bridge, you can see the statues of Saint Peter holding the keys of heaven sculpted by II Lorenzetto in 1534 and Saint Paul holding the sward by Paolo Romano in 1464. They are inscribed with the words “Hinc humilibus venia” (“Here forgiveness to the humble”) and “Hinc retribuito superbis” (Here punishment for the prideful”). 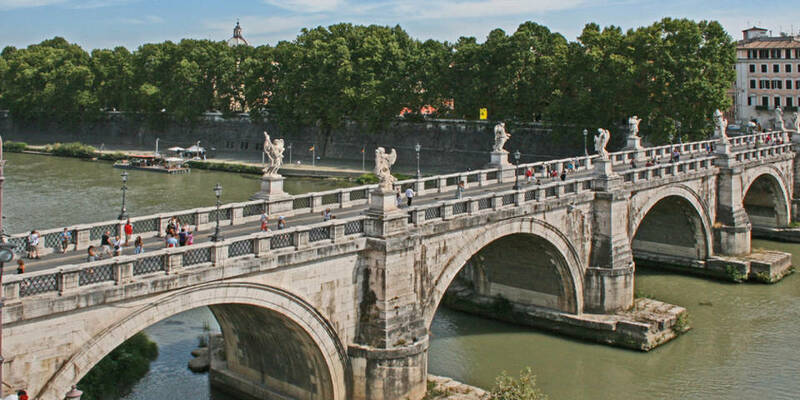 In 1667, Pope Clement IX had commissioned the creation of the sculptures along the bridge. 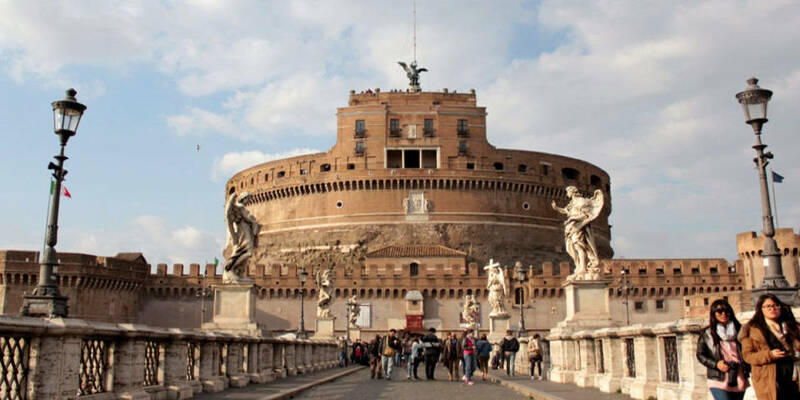 The architect who made the design was Gian Lorenzo Bernini. However, he only finished the creation of two angels – the Angel with the Superscription “I.N.R.I.” and the angel with the Crown of Thorns. In 1669, before the death, Clemet IX saw these statues and decided that they are too magnificent for the bridge. Today, you can see these angles in the church of Sant’Andrea delle Fratte near Piazza di Spagna. However, Bernini’s ideas and design were brought to life by his successors. Each of the statues is made from white marble. 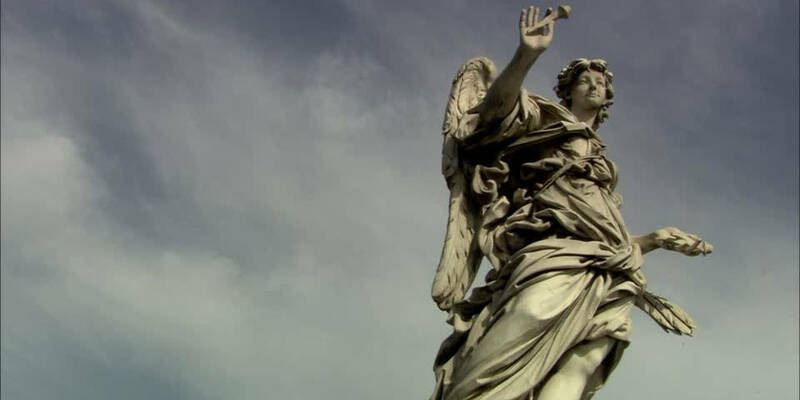 Moreover, each angel holds an instrument of the Passion: they present them to passersby, the same as along the Via Dolorosa in Jerusalem or on the Sacred Mountain of Varallo. The bases of the angels are inscribed with verses from the Bible. This sign transforms the instruments of the Passion into instances of Christ’s majesty and is a symbol of divine glory. All sculptures stand on marble clouds of different degrees of fullness. They allow you to make a journey along the Via Crucis and admire the symbolic instruments, the chronological and narrative moments in the Passion of Christ. Sant’Angelo Bridge is the most beautiful bridge in the world even nowadays because it is symmetrical, regular, open to light, and has a perfect distance between water and arches. 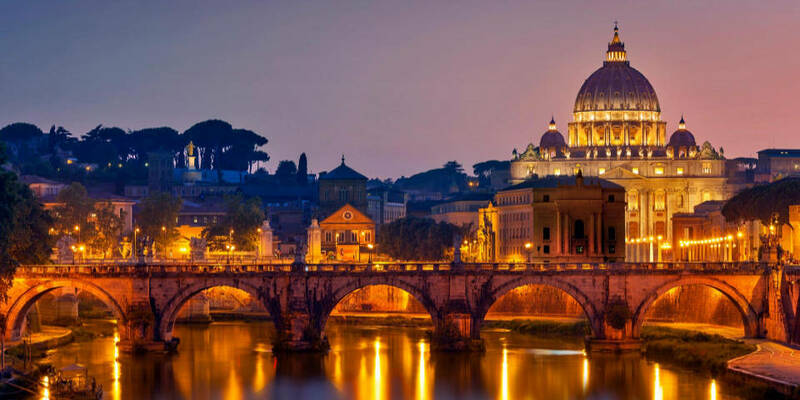 Moreover, the bridge connects Rome to Saint Peter’s Basilica in the Vatican. Nevertheless, the main feature of the construction is in the charming statues of the angels. Also, the bridge’s three central arches are originals from the ancient Roman era. You can get bus 87 from the Colosseum or bus 46 from Piazza Venezia. Also, you can take a metro from Termini station (Line A, Battistini) and travel to Lepanto stop. The bridge located in the historical center of Rome, near the Vatican, so it is pretty easy to find it. 6.30 am to 12.30 pm and 4 pm to 7 pm. Sant’Angelo Bridge is remarkable and magnificent construction. 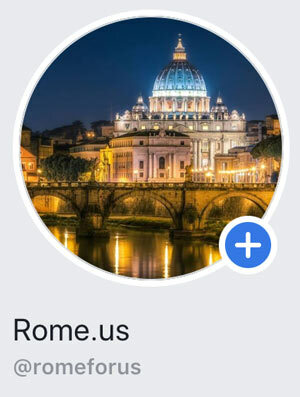 It is one of the main must-see sites in Rome. Tell us about your emotions after visiting the bridge in comments!